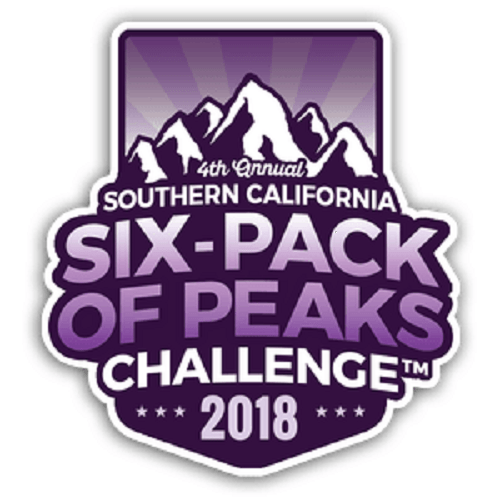 The 2018 Six-Pack of Peaks Challenge encourages hikers to hike some of the tallest peaks in Southern California. The urban sprawl of Southern California is everywhere and getting into nature is a nice escape. The Six Pack Of Peaks Challenge was started by one of the folks over at Social Hiker as part as a training regimen for hiking the John Muir Trail. The challenge has been going on for several years now and in addition to Southern California has challenges in the Colorado Rockies, Central Oregon, and Northern California. Now people can pick any of these mentioned peaks to complete the challenge. The Southern California Six Pack of Peaks was initially started as a way for people to prepare to do the John Muir trail or hike Mount Whitney. My goal: to complete the challenge within the year. However, some people are trying to complete the peaks as soon as possible. But you can set your own goals. I’m incredibly excited to get started on the challenge. Back in January my girlfriend and I decided to do one of the alternate peaks (Mount Baden-Powell) as a test run. The view from Baden-Powell was incredible. It was the first time I hiked a peak over 9,000 feet in Southern California and I learned quite a bit about how I need to prepare for the rest of the hiking challenges. Southern California is home to some amazing peaks and I can’t wait to get started!